Florida legislators said Thursday they will provide the resources to help the Broward School District tear down Building 12, the site of the massacre that killed 17 students and teachers. "This building has to come down,"' Sen. Bill Galvano, R-Bradenton, told the Miami Herald Friday after visiting the school the day before. He said the horror was palpable. "Everything was strewn across the halls from people running and dodging and there were significant blood splatters on the wall," he recalled. "Like someone took a milk jug and exploded it." "These kids are not going to go back into that building ever again,'' said Sen. Lauren Book, D-Plantation, who was with Galvano. She had encouraged Galvano and Sen. Wilton Simpson, R-Trilby, to travel from Tallahassee and visit the high school Thursday before attending an evening vigil for victims. "We need to take a serious look at tearing down that building and build a facility that these kids could return to and be proud of,'' Simpson said Friday. Early estimates indicate the cost of a replacement building is between $25 million and $30 million, he said. "It will still be very difficult for students to return," Galvano said. "But that particular building should be razed, and the memory of the perpetrator erased and a memorial honoring the victims and their families be put in its place." 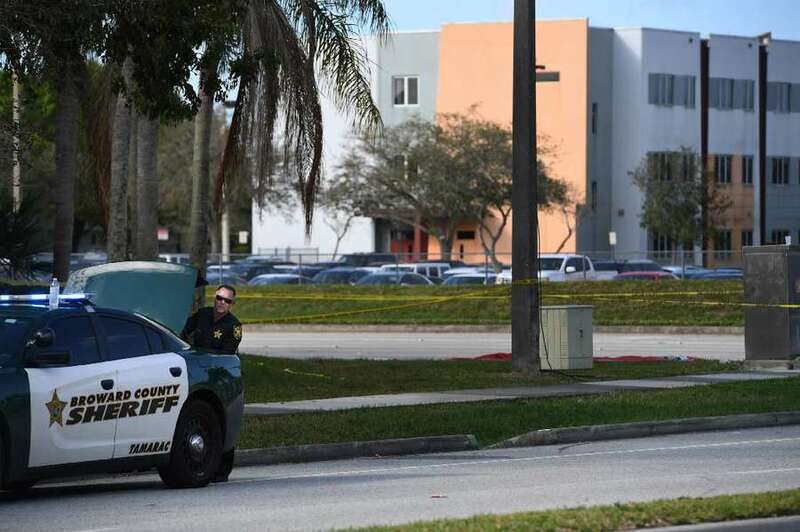 Broward Superintendent Robert Runcie told the Miami Herald on Friday afternoon he agrees the building, which serves 900 students, should never be reopened. "Parents and students have told me very clearly they're not going to go back into that building and I believe they're right," he said. "In an ideal world there would be sufficient funding to do a replacement building at a different site on the campus and then erect a memorial on that location." Meanwhile, he said the school district was still reviewing its plan for returning students to school and the district will likely decide on a plan over the next 24 to 48 hours and hopes to announce a decision over the weekend. The most likely scenario is that teachers would be the first to return in order to give them a day to prepare for the arrival of students, Runcie said.